VIENNA, Va.--(BUSINESS WIRE)--In advance of Veteran’s Day, Navy Federal Credit Union, in partnership with Sperling’s BestPlaces, released its Best Cities After Service list – a unique look at the places best suited for servicemembers to consider living after leaving the military. According to data from the U.S. Joint Chiefs of Staff, approximately 250,000 military members transition out of the service each year. The top 10 cities are: (1) Oklahoma City, Okla. (2) Omaha, Neb. (3) Colorado Springs, Colo. (4) Washington, D.C. Metropolitan Area (5) Grand Forks, N.D. (6) Austin, Texas (7) San Antonio, Texas (8) Charlottesville, Va. (9) Rapid City, S.D. (10) Manhattan, Kan. 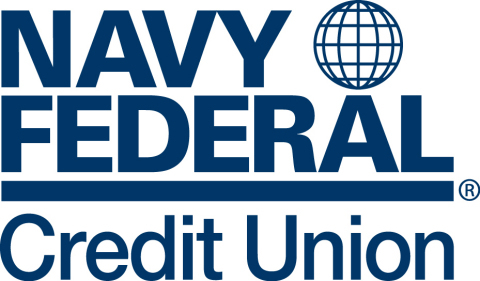 In February 2017, Navy Federal’s field of membership expanded to include veterans and their families; today, about a third of all Navy Federal members are active duty servicemembers and veterans. 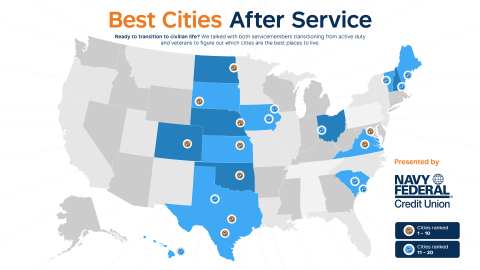 In continuing with the effort to make our members’ goals our mission, Navy Federal launched Best Cities After Service in order to make life’s biggest decisions simpler.